There are many ways that you can create change, physically, emotionally, and mentally. 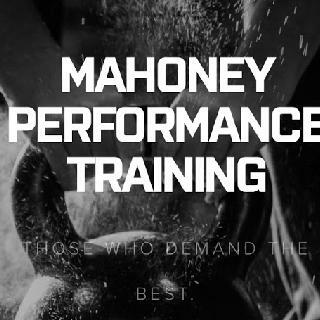 I started Mahoney Performance Training because I knew that after my baseball career was over I wanted to help people become the best versions of themselves. I believe that in todays day and age that helping someone gain confidence through proper strength and conditioning has a massive carry over into all aspects of an individuals life. My first job was at a physical therapy clinic where I worked side by side with some of Boston's best physical therapists. I still credit that experience in that setting for my outside the box thinking helping my clients achieve a better life through reducing pain, increasing strength, and improving movement. I am a firm believer that everyone is different and they need to be programed as an individual, not like everyone else. All of my clients go through a movement screen that helps me better evaluate each persons strengths and weaknesses. Here I will be able to determine how to progress you in the safest and most effective manner. It is my goal for all of my clients to be able to train for a very long time as opposed to 6 or 12 weeks, then have to take a break because they went too fast too soon. My training is very old school. We use a combination of bodyweight, kettlebells, and barbell training to give you the results you are looking for. There are no crazy movements or machines. Just programming that gets results. I have been working out with Dan for the past 9 months. Before meeting Dan I went to the gym 4 days a week (religiously), but knew that I was not using my time effectively. My original goal was to workout with Dan for a couple of months to "learn" what I should be doing and establish a good workout routine. Dan spent time with me evaluating my strengths, weaknesses and pains. I had been suffering from a slightly herniated disk (lower back pain) and a very weak right shoulder (I could barely lift anything on my right side). After the first 5-6 weeks working out with Dan, he proposed an 8 week challenge. It consisted of 5 consecutive days with a modified diet. I was leaving for vacation and was up for the challenge. I started seeing significant changes to my body even before the 8 week challenge. I noticed that I no longer had back pain, my upper body was getting stronger and I was getting into clothes that hadn't fit for some time! At the end of the 8 weeks, I was the leanest I had ever been (and I cheated on the diet). Dan takes a holistic approach. Focusing on getting to the root of any pain and strengthening and balancing your entire body. My clothes fit differently, my energy is higher and my stress level has significant,y improved. In short, I became addicted. After the 8 week challenge I went back to working out with Dan, 3 days a week, but that wasn't enough. I decided that there was nothing more important to me than the health and strength of my body, and increased my work outs to 4 days a week. The results I achieved working out with Dan have made me very happy, to say the least! In addition to my friends and co-workers noticing the improvement in my figure, the biggest compliment I received was from my brother. I was wearing a dress that was very form fitting and he told me that I looked lean and strong (my brother has never commented on how I look). He himself is a workout fiend! I can't say enough about how great Dan is. I rave about him to all my friends ( a couple who also joined his fan club)! I am extremely disappointed that he is moving as he has become a very important part of my life and well-being. I highly recommend him, but joke that I would give him a terrible reference so that he has to me back to Boston! I am a retired professional basketball player. I've been through my fair share of expert trainers. After retiring I took a break from working out and had no desire to start again. Working out just wasn't for me anymore. Until I met Dan. Dan took the time to understand my likes/dislikes and needs/wants. He studied my body and created a personalized workout that would give me the physical results I wanted (glamor wise) and the movement/strength I needed. After only 2 weeks I had never felt better and was overall mentally, emotionally and physically healthier. I will follow him anywhere. I had an amazing experience with Dan. His hand on approach and attention to detail is invaluable. He made a nutrition and work out plan for me that was specifically tailored to my needs and fit in with my life and schedule. He would periodically check in to make sure things were going as planned and to manipulate the plan to any changes in my life. He went far and above what i would normal have expected from someone in his position. And with that the quality of his work and his professionalism was always top of the line. The only thing i think he could have done better was push a little harder at times, but it didn't affect my output or the quality of my experience at all. Dan is an amazing trainer. He is personable, kind and genuine—and he is also incredibly knowledgeable about health and fitness. Given my hectic schedule, it is near impossible for me to schedule a regular doctor’s appointment much less a personal training session. However, Dan didn't give up on me. Each day, Dan would text me an extensive, rigorous (yet attainable) workout, and would later send me a follow-up text, asking how I felt, what worked, what didn't work, what I may have had trouble with and so forth. His dedication to his client truly fascinates me- he cares for his clients and invests in them. Dan wants to see his clients succeed, and pushes them to the brink. Although I think of myself as fit, his workouts took me to a whole other level, forcing me to truly get out of my comfort zone and do workouts I may have avoided in the past. Also, Dan ensured that no workout was the same—everyday was different, which kept me from getting bored and my muscles from getting comfortable. I have learned a great deal from Dan on living a healthy and fit lifestyle and I know that will only continue. I’ve been working with Dan twice a week for about a month, and I can only sing his praises. In that time, he has already helped me more than all of the health professionals I’ve seen in the preceding 18 months. Having been hypermobile for 57 years, I’m now dealing with joint instability and a host of various pains and weaknesses. In advance of our first session, Dan prepared for his goal of helping me become pain free by researching safe ways to do so. We are making progress, and I’m grateful for his willingness to expand his skill base on my behalf. One thing that I appreciate is that Dan micromanages my form when doing all exercises. He make countless minor adjustments so that I’m not working against myself (which I’m sure I’ve done in the past with physical therapy homework.) Dan is clearly knowledgeable, observant, and a good cheerleader which helps me keeping going when I might otherwise say “uncle.” I look forward to continued sessions and to continued success thanks to his great coaching. 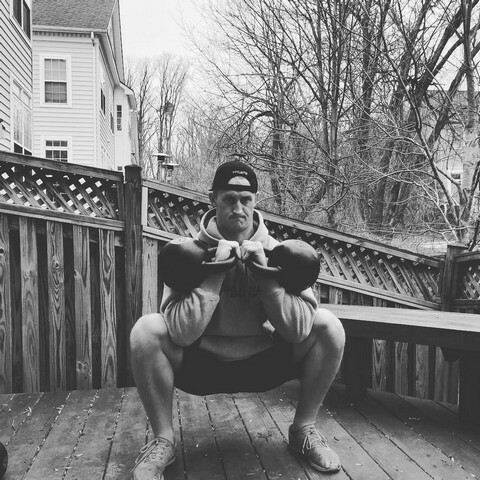 I want to first off state that I am a former Division 1 college hockey player who has tried out just about every new workout on the market today, I have done T25 , Insanity, crossfit to name a few. As a personal goal, I wanted to take my fitness to the next level and had been searching for a trainer , fitness coach that would be able to help me with my goals, when I met Dan at a fitness conference, and started to understand his methodology and beliefs, I knew that he was going to be the one to get me to my personal goals. The first phase that Dan and I worked on together was a nutrition plan that was 21 days long, this was very challenging and the nutrition plan challenged me not only physically but also mentally. Throughout this first phase, I was very dedicated to clean eating and also focusing on circuit training and cardio, I just finished phase one and I am HAPPY to say that I lost bad weight that I have been trying to shed, my final number was 17 - I lost 17 pounds while following Dans nutrition plan. I am starting phase two this week and am very excited to dedicated myself to working with Dan over the next 21 days. As a former professional baseball player, I thought working out with Dan (Who also has a professional baseball background) was going to be just like any other strength coach I've worked with in the past. Simply put, Dan has completely changed the way I handle diet & exercise. His active approach and continuous outreach has kept me focused and motivated as I work my way back into "playing shape". His daily workouts are easy to follow and gradually push the envelope without burning you out. His attentiveness and willingness to fit personal sessions into his already busy schedule proves to me that he wants to see me fulfill my health/fitness goals as much as I do. I cannot say enough good things about Dan as a trainer and as a friend. I wholeheartedly endorse him and recommend him to anyone looking for a fitness instructor that gets results. Prior to working with Dan I had never considered engaging a personal trainer. Dan immediately dispelled any preconceived notions I had about personal trainers, adapting his plan and style to match my abilities and mood at any given moment. I particularly appreciate his attentiveness as he'll work diligently to ensure proper form, and patiently explain how and why to achieve it. His demeanor is an effective balance of drive and lightheartedness which I find constructively motivating. I can't recommend Dan highly enough and very much look forward to seeing him help others grow.